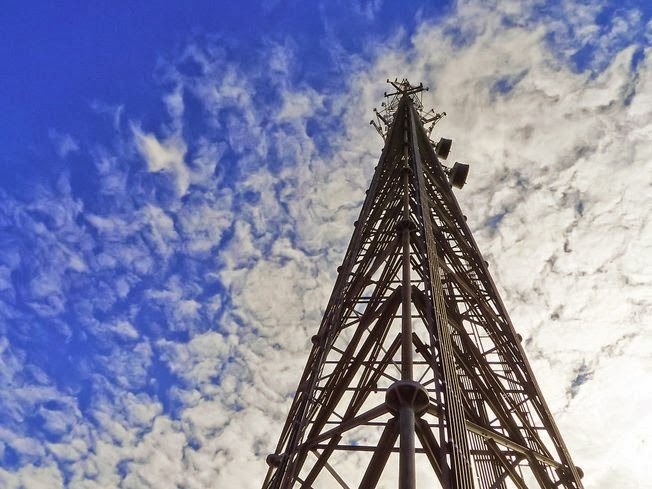 Apparently, the safety bulletins and news articles regarding the dangers of working on a cell phone tower haven’t been made public enough because this past weekend two people were warned by police after jumping from a cell tower in Dodge County, Wisconsin. The jumpers were told that if they came back to the site again they would be charged with trespassing. Last week 28-members of the FAA advisory committee voted to recommend a change in regulation that would allow airplane passengers to use Smartphones and other mobile devices when the aircraft is below 10,000 feet. This recommendation will be sent to the FAA today for a final decision. Downloading data, surfing the Web, and talking on the phone would still be prohibited; however, you will be able to access applications and videos that have already been downloaded or installed on your computer. The FAA doesn’t have the authority to change the regulations regarding whether or not cell phone calls can be made on airplanes—that decision belongs to the FCC. “The Federal Communications Commission, which regulates the cellphone industry, has opposed allowing passengers on fast-moving planes to make phone calls, citing potential interference with cellular networks as phones in the sky skip from cell tower to cell tower faster than networks can keep up,” Joan Lowy of the Associated Press explains. Crown Castle International Corp. added the following items to its Investor Relations website during the week of September 23, 2013 to September 27, 2013. For Verizon customers in Southampton County, Virginia the option to text 911 in an emergency is now an available option if you are in close range of the Southampton County cell phone tower. Text to 911 is becoming a popular feature for those residents who are hearing or speech impaired or anyone who finds themselves in a situation where it is too dangerous to speak to the 911 operator. Southampton County is the second public safety answering point in Virginia to accept Text-to-911. “Public safety is a top priority. We assist public safety organizations in their efforts to get residents the help they need in emergencies. We do this by providing enhanced location information to emergency call takers so they can more effectively route calls for emergency assistance,” Verizon explains. 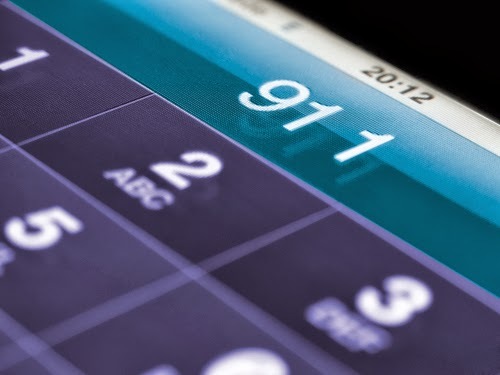 Text to 911 is not available everywhere, but the major wireless carriers are hoping to expand this program in order to assist as many people as possible and increase public safety. Last week, the Federal Communications Commission released a report proposing an action to improve the wireless network reliability during disasters. They plan to do this by, “requiring wireless service providers to publicly disclose the percentage of cell sites within their networks that are operational during and immediately after disasters,” the FCC explains. The FCC does understand that some wireless service interruptions may be unavoidable during emergencies but the goal is to minimize the number of interruptions. “For example, Superstorm Sandy disabled approximately 25 percent of cell sites in the affected region, with more than 50 percent of cell sites disabled in the hardest-hit counties, yet not all wireless networks were equally impaired,” the report noted. It was also mentioned that the practices that these wireless service providers use could play a role in the variation of the reliability of the structure during natural disasters. “The FCC’s proposal would require wireless service providers to submit to the FCC, for public disclosure on a daily basis during and immediately after disasters, the percentage of operational cell sites for each county within a designated disaster area. Information yielding these percentages is already included in voluntary reports that wireless service providers submit to the FCC daily during disasters, albeit on a presumptively confidential basis and as part of a larger set of data,” the report explained. 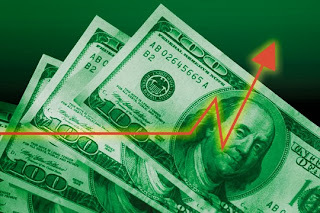 Stock information for SBA Communications Corp (NASDAQ:SBAC) for the week of 09/23/2013. $38 Million Tower Construction Bid: Inexperience or Fraud? The tower industry is growing at a quick pace, which is encouraging people to jump into this business whether they know the ins and outs of the tower business or not. In 2007, the Lewis County Commission of West Virginia was awarded, “a one-time $8.4 million Public Safety Interoperable Communications (PSIC) grant by the National Telecommunications and Information Administration for interoperable radio network supplies including mobile tower and microwave radios, and mobile and satellite radio gateways,” according to the Special Report by the WestVirginia Legislative Auditor. Once the county received the PSIC grant, they realized that the restrictions of the grant made constructing a tower very difficult and the money went entirely to equipment. So in 2008, the Legislature allocated $10 million from the State Lottery Commission surplus to improve the interoperability communications in West Virginia. “Dave Coffman, Chief Deputy of the Lewis County Sheriffs’ Office (since elected Sheriff of Upshur County) invited Mr. Gonzalez to speak with him about the possibility of constructing a tower in the Lewis County town of Roanoke. Together the two met with the Lewis County Commission about the possibility of the application for a DMAPS grant. The Lewis County Commissioners at that time and Chief Deputy Coffman understood this grant would only be used for the Roanoke tower. The Lewis County Commission applied for a DMAPS sub-grant and was awarded the amount of $307,347 in sub-grant 08-SR-03 to construct the Roanoke tower on July 31, 2009,” the report explained. So this is when things got complicated. The Lewis County Commission issued an advertisement in the Weston Democrat on July 8th and July 15th of 2009. Three vendors responded to the ad and met at a pre-bid meeting and tower site visit on July 20, 2009. 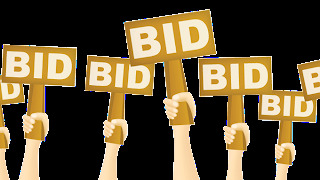 The Lewis County Commission opened the bids and held a bid review at their July 27, 2009 meeting. Mr. Gonzalez, Lewis County 911 Director Bill Rowan, and then-Lewis County Chief Deputy Coffman reviewed the bids for the Commission. The report explains that the Lewis County Commission relied on the experience of Mr. Gonzalez, Sheriff Coffman and Mr. Rowan to help ensure the bidders met the correct qualifications. Mr. Rowan had no previous experience dealing with tower construction bidding and Sherriff Coffman had no technical knowledge regarding microwave or antennas. After the bid review process, it was decided that Premier Construction had the lowest big and the Lewis County Commission immediately entered into contract with the company. Once the contract was in place, the Legislative Auditor was unable to obtain the bids for the other companies involved in the process. The reason this has become a major focal point is because the local government didn’t bid the contract out as required by the Government Contract Act. The question is: was this fraud or simply a mistake? Either way, the Lewis County Commission broke the law by not soliciting competitive bids for this project and only placing a small ad hidden in the newspaper. “Our 4G LTE service was recognized as having faster average download and upload speeds than any of our competitors in PCWorld/TechHive's most recent 20-market speed tests — the second consecutive year that AT&T has ranked first overall. PCWorld/TechHive also ranked AT&T's as the fastest combination of 3G and 4G services in the 20 cities it tested,” AT&T shared in a press release. xG Technology Inc. delivers cognitive radio network technology that meets the world’s rising demand for reliable and affordable wireless broadband, while making more efficient use of scarce spectrum assets. With the amount of broadband spectrum dwindling, products like xG’s xVM and xAP are useful in the radio network. The xVM (xMax Vehicle Modem) has received FCC certification by way of a Grant of Equipment Authorization so it is authorized to be sold in the U.S., while the xAP (xMax Access Point) is waiting for the final paperwork to be completed by the FCC. It is expected to be received soon so all the required FCC testing will be completed. “The xVM seamlessly connects smartphones, tablets, notebooks and other devices to the Internet via an xMax cognitive radio network,” xG Technology explained in a press release. “While primarily developed for vehicle usage, the xVM may also be externally mounted in fixed locations like parks or other outdoor areas to provide WiFi and wired Ethernet access for use in monitoring, surveillance, machine-to-machine (M2M) and other applications. The xAP is different from the xVM because it is a compact base station that communicates wirelessly with xG’s xMod and xVM to create an all-IP, high-capacity, high-performance wireless access point that will be able to deliver wide area coverage when there is significant interference. "We are extremely pleased to have the xVM so closely follow the xMod in receiving FCC approval for commercial delivery and use," said John Coleman, CEO of xG Technology. "The xVM's rugged design is well-suited for deployment in public safety, homeland security, utilities and military applications. Now that all xMax radio products have successfully passed FCC testing, we will soon deliver product to customers, once we receive final certification paperwork for the xAP in the coming few days." Monday, September 23rd Wilson Electronics introduced the CI 2070, which is a cellular signal booster that works to enhance the cell carrier’s signal, including all 4G technologies, as well as 3G and 2G voice and data. The CEDIA, the industry association for professionals who design and install home technology, named the Wilson CI 2070 a finalist for their award that recognizes the top new products in the residential electronic systems industry. "We are especially thrilled to have a signal booster from the Wilson Certified Installer product line recognized by CEDIA for the second year in a row," said Blake Seese, Wilson's custom integrator business development director. "It is an important achievement for the CI 2070 to be named a Best New Product finalist in CEDIA's 2013 Manufacturers Excellence Awards." This new device allows the installer to customize the signal amplification on each of the five frequency bands. This allows an optimized signal boost to match the precise coverage requirements of each building where the CI 2070 is installed. The winners of CEDIA’s 2013 Manufacturers Excellence Award will be announced at a press conference this Friday and recognized at the Electronic Lifestyles Awards Celebration on Saturday at the CEDIA Expo in Denver. CEDIA, the Custom Electronic Design and Installation Association, is the leading global authority in the $14 billion home technology industry. CEDIA represents 3,500 member companies worldwide and serves more than 22,000 industry professionals that manufacture, design, and integrate goods and services for the connected home. Mobile Experts, who specialize in radio electronics for both handsets and infrastructure, plan to deploy over 16 million DAS nodes by the end of 2018. The company released a 5-year forecast for their Distributed Antenna System today. There has been speculation that DAS is going to grow very quickly over the next few years. "Multiple operators in North America are doubling or tripling their DAS spending plans", explained Joe Madden, Principal Analyst at Mobile Experts. "In China, DAS spending is down 20%, but in the USA it's up 30%. There are radical changes going on, which in the end will be incredibly lucrative for DAS neutral hosts, installers, and system integrators." Through their research, Mobile Experts predicts that the number of DAS nodes will double in the next three years and by the end of 2018 more than 50% of DAS networks will include small cells and Wi-Fi. Their five-year forecast illustrated the trends in Wi-Fi and public safety adoption, along with LTE services. "The DAS market will more than double in size over the next five years, with a dramatic increase in the combination of DAS with Wi-Fi, public safety radio, and LTE networks. People wonder how small cells will find access to backhaul. In fact, the clear answer is to use a fiber-based DAS system in many public buildings," Madden explained. Mobile Experts provides insightful market analysis for the mobile infrastructure and mobile handset markets. Research topics center on technology introduction for radio frequency (RF) and communications innovation. 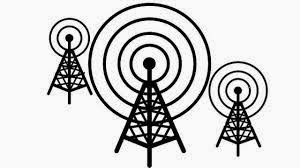 Should Parent Concerns Be Considered When Deciding About Cell Tower Construction? This is a question that many school boards, including the Anne Arundel County Board of Education, has been considering when it comes to the decision about constructing cell phone towers on school property or near the property. Because the FCC and other government entities have developed strict standards for cell towers in order to keep the radio frequency emissions low and there hasn’t been any conclusive studies linking cell towers and negative health effects, why should these towers be a concern? However, the school board believes these towers are a necessity because they will provide funds for education as well as meet the demand for cell phone reception throughout the county. Many towns have begun taking legislative steps to ban cell towers being built on or near school property. “Parents are capable of weighing concrete financial gains and cloudy potential for health risks. It’s easy to see parents at Piney Orchard saying no thanks to a tower on their 18-acre school yard, while parents at Broadneck High, another targeted school, might be OK with one on their 62-acre campus,” the Capital Gazette explained. Today, Wilson Electronics introduced a new product specifically for certified installers. The CI 2070 boosts all carriers' signal, including all 4G technologies, as well as 3G and 2G voice and data. This booster will support LTE and other cellular technology to provide reliable cell coverage indoors up to 80,000 square feet. "The CI 2070 is Wilson's first 4G cellular signal booster designed specifically for the installer market," said Blake Seese, Wilson's custom integrator (CI) director. "It delivers greatly enhanced voice and data coverage in buildings where it's deployed. 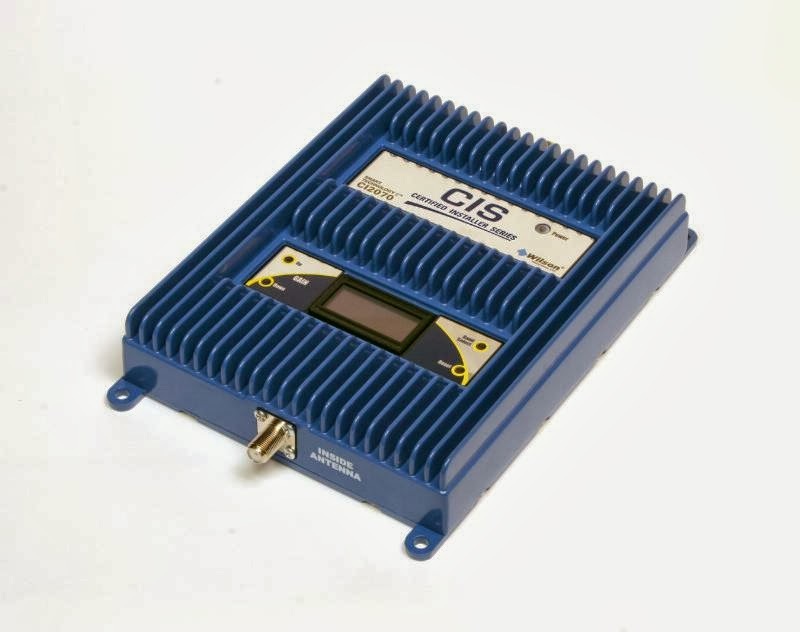 For our certified installers, the CI 2070 also provides a new revenue source by helping solve customers' cellular reception problems in virtually any type of building." This new device allows the installer to customize the signal amplification on each of the five frequency bands. This allows an optimized signal boost to match the precise coverage requirements of each building where the CI 2070 is installed. Although this device is powerful, it’s small in size, weighing about 3 lbs. Wilson Electronics helps people solve the number one issue facing the cellular industry: dropped calls and poor signal strength. They deliver cell phone booster solutions for mobile, building, and machine-to-machine (M2M) data transfer situations. As provider of North America’s top-selling line of cell phone signal boosters, Wilson designs and manufactures a wide variety of amplifiers, antennas and related components to improve communications for cell phones and cellular data devices. After the FCC approved AT&T’s acquisition of Alltel’s assets, AT&T went ahead with the completion of the transaction and closed the deal over the weekend for a grand total of $780 million. AT&T acquired wireless properties in six states, including spectrum licenses, network assets, retail stores and approximately 590,000 subscribers. The Alltel network covers approximately 4.5 million people in mainly rural areas in Georgia, Idaho, Illinois, North Carolina, Ohio and South Carolina. "We welcome Alltel customers to the AT&T family, and we think they will love everything they can do on our superfast 4G network," said AT&T Georgia President Sylvia Russell. "We've invested more than $4.5 billion in our wireless and wired networks in Georgia since 2010, including more than $675 million in the first half of 2013." 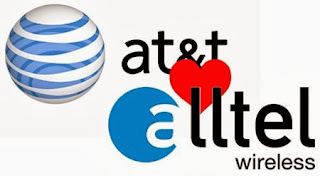 AT&T plans to immediately begin work upgrading the Alltel network to their latest 4G LTE technology and hope to have this task completed by the summer of 2014. AT&T expects its 4G LTE network to reach 300 million people by the end of next year. Lowell McAdam, chairman and chief executive officer of Verizon Communications Inc. will speak at the Goldman Sachs Communacopia conference on Tuesday, Sept. 24. His remarks will be webcast beginning at approximately 9:40 a.m. Eastern time. 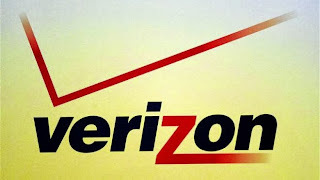 Access instructions will be available on Verizon's Investor Relations Web site,www.verizon.com/investor. “Communacopia is really about convergence across telecommunications, media, cable companies and internet,” said Jason S. Armstrong, Deputy Business Unit Leader Technology, Media and Telecommunications Research Group. Crown Castle International Corp. added the following items to its Investor Relations website during the week of September 16, 2013 to September 20, 2013. Today, the FCC announced that they will approve of AT&T’s acquisition of Alltel. At the beginning of the year, AT&T announced it would be buying Alltel’s customers and spectrum for $780 million. 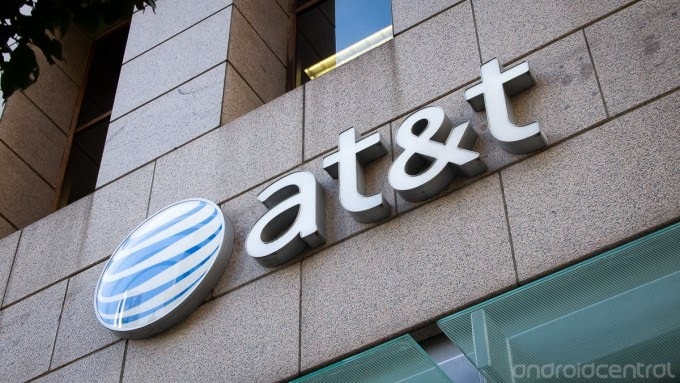 The FCC explained that they were going to stop their informal 180-day time clock to review the transactions because AT&T didn’t provide its plans for transitioning Alltel’s significant pre-paid customer base. 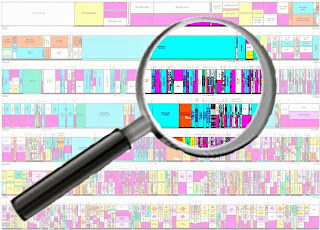 The FCC explained in their report that, “In this Memorandum Opinion and Order, we approve, subject to conditions, the applications of AT&T and ATN (together, the “Applicants”) for Commission consent to the transfer of control of, and assignment of, a number of cellular, Personal Communications Services (“PCS”), Lower 700 MHz Band B and C Block, and common carrier fixed point-to-point microwave licenses; spectrum leasing authorizations; and an international section 214 authorization from ATN’s wholly-owned subsidiary, Allied, to AT&T." Once this transaction is complete, approximately 620,000 customers, along with network equipment and other assets, will be transferred from Allied to AT&T. Remember to send us your job listings and your people moves! If you or your company is looking to hire within the wireless industry, then please send a brief job description along with contact information to jobs@insidetowers.com and we’ll add them to our Job Listings blog. Also, if you’re making a career move within the industry we would love to know about it and share your success with our readers! Email us at peoplemoves@insidetowers.com. 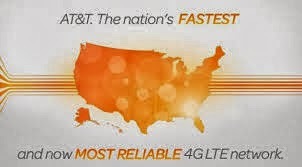 According to AT&T, “LTE technology is capable of delivering mobile Internet speeds up to 10 times faster than 3G. 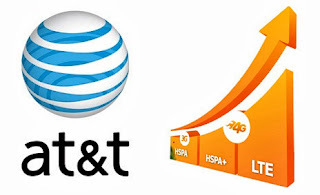 Customers can stream, download, upload and game faster than ever before.” These launches are part of AT&T's Project Velocity IP (VIP), a three-year investment plan announced last fall to expand and enhance its IP broadband networks. "We continue to see demand for mobile Internet skyrocket, and our 4G LTE network in Torringtonresponds to what customers want from their mobile experience — faster and reliable, all on the best devices," said John Emra, president, AT&T Connecticut. Duke University Professor, Bates White Partner, and former FCC Chief Economist Leslie Marx submitted a report to the FCC that states that proposals to restrict Verizon's and AT&T's participation in the upcoming Incentive Auction would "put at risk its twin priorities of raising significant revenue and reallocating a substantial amount of spectrum from broadcast to mobile wireless services." The FCC is expected to reach a decision concerning the Incentive Auction by the end of the year. Dr. Marx conducted this research on behalf of Verizon Wireless. The report was submitted to the FCC on September 18, 2013. Would You Give Up Your Smartphone? Come See Us At The Wireless Infrastructure Show! Do Holiday Traditions Trump Cell Towers? What Problems is the ‘Digital Divide’ Creating? Will Wyoming Extend Cell Tower Moratorium?